Halloween is a festive night held every eve of October 31, the night before the All Saints day which is November 1. Halloween is the shortened term for All Hallows' Evening or eve. 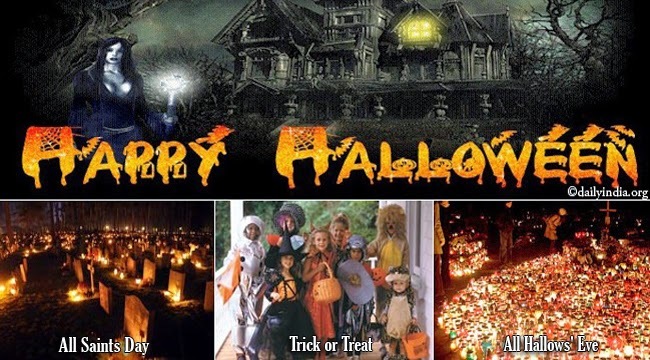 According to the site Halloween History, many countries had started embracing the modern spooky holiday in the late twentieth century such as United States, Ireland, Puerto Rico, Canada, Australia, new Zealand and UK. The Irish and Scottish immigrants are the ones who had carried the tradition to the North America but the origin of the festival dominated by the scary creative costumes, trick-or-treats and jack-o-lanterns had came from the Celtic festival called Samhain. In Gaelic culture, Samhain is a festival celebrated during the end of the harvest season and the time to prepare stocks for the winter. In the history, the ancient Gaels had a belief that it is on the day of October 31, the human world and the world of the dead will overlap giving a way to those who are dead to come back to the world of the living and cause misfortunes such as damaged crops and illness. People would attempt to used maska and costumes make the spirits believe that they are one of them, making them safe from the misfortunes. Trick or threat resembles ‘souling’,as in the past some poor folks will also will go house to house during the ‘Hallowmas’ on November 1 and they will receive food in return of their prayers for a dead loved one. There had been no evidence that such a practice occurred in United States although trick or treat had been very famous during the holiday. It had caused some problems in 1930’s to 1950’s as some had caused riots and public disturbance. Many had not yet grasped the meaning of the trick or treat and thought that it was some kind of extortion. After a few generations, now it is a welcoming tradition and neighbors are expected to give treats to the kids. Indeed, the history is full of various beliefs and practices that had gone far and evolved Halloween as we now know it today.